A cool interactive art piece presents tiny creatures aware of human visitors. Everyone has certain things in their day-to-day lives that they cannot do without with some materialistic things having a tendency to become indispensable at times, and most often we do not realize how much we depend on them. In case you are wondering what I am talking about, you should try and make a list of things that you carry along with yourself everyday. If you are also wondering what has been showcased in these pictures above, take a look at some of the pictures below and you will find out, and I am sure by the time you get to the last picture you would have fallen in love with this product, and would be adding it to your list of things to carry around everyday. Who would have thought, that a flashlight can be made so appealing, besides being so functional and useful. 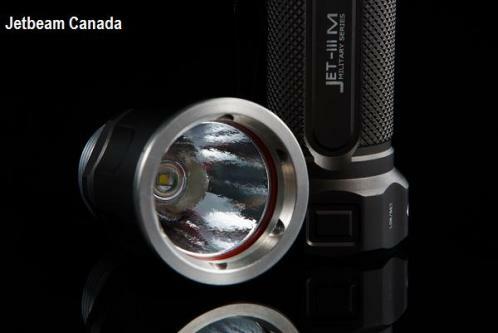 Jetbeam specializes in manufacturing efficient handheld flashlights and offers us a variety of LED flashlights worldwide. What use would a fancy flashlight be of you? Well, let us not think short-term, but think reliable, green and long-term. LED flashlights have a tendency to be equally bright and do not grow dimmer as the battery is getting used up. The body is usually made of aluminium - to be weighless and not conduct heat, but Jetbeam flashlights it comes with a stainless steel tail to make it stand upright, and they also come with a lock out function. An extremely useful, must have, household or outdoor gadget, you never know when you might need. So I think if the price tag could be put off on quality lighting instruments, the Jetbeam LED Flashlight would be a very good buy.